School just started, which means that our lazy summer days will quickly turn to the busy days that the school year brings. Homework, music lessons, sports practices, dance classes, and other after school activities keep me stuck in the car running my kids around all afternoon and evening some days. On those kinds of days nobody wants to come home and then have to figure out dinner. I like dinners that are so easy that I barely have to think about them at all! We're all so tired and hungry after a day like that, it's wonderful to come home to something fast and simple. 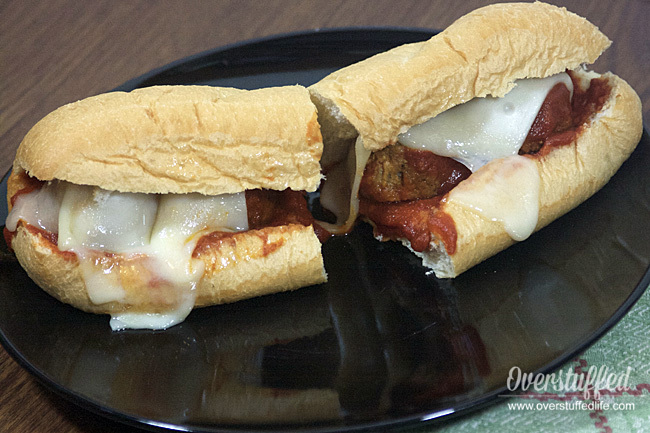 These meatball subs are literally one of the simplest things you can make, and they are a huge hit with my family! 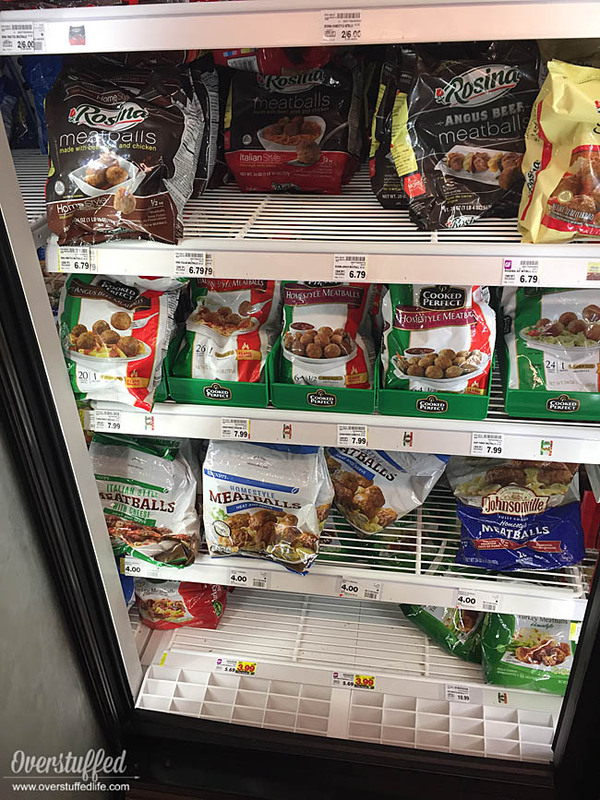 I purchased some Cooked Perfect Meatballs at my local Pick and Save. I bought the Angus Beef variety, but they also come in Turkey, Homestyle, Italian Style, and Gluten-Free Italian Style. 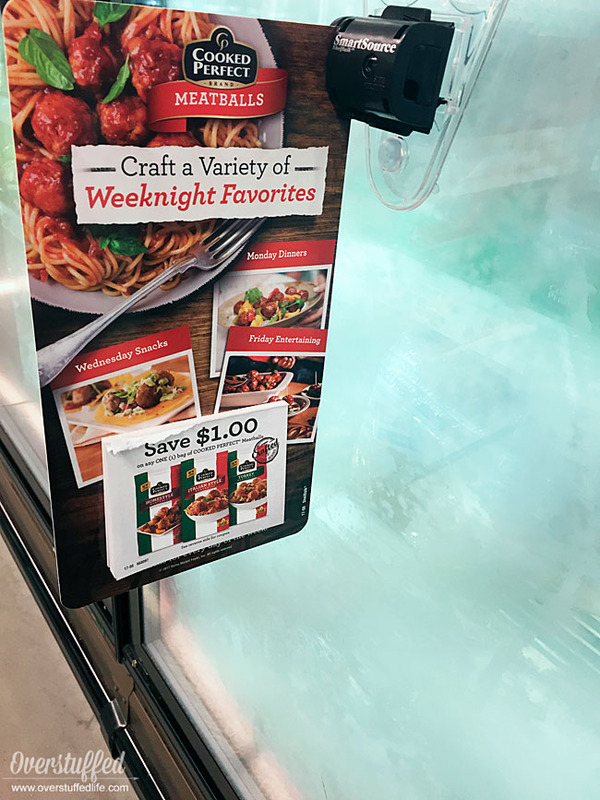 They were pretty easy to find in the freezer aisle! These meatballs are made using select meats and real cheeses. The flame-broiling process that sears the flavors into the meatball make them a super tasty choice for any meatball recipes you have. 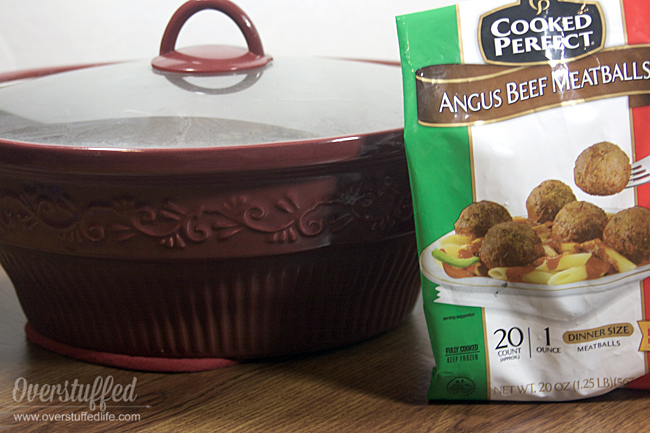 *Because the meatballs have a gluten-free variety, this meal can easily be made gluten-free. Just be sure to purchase gluten-free rolls. 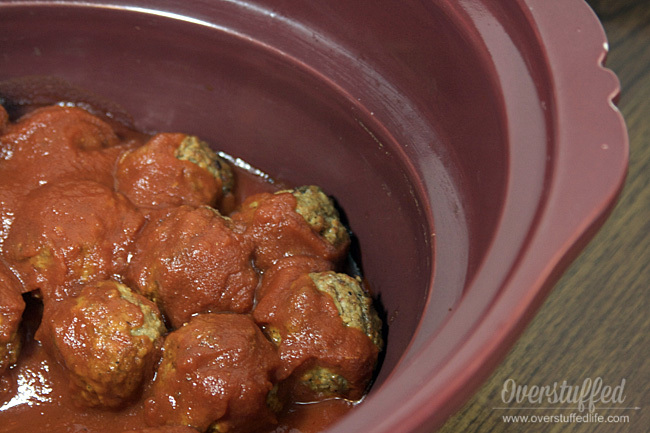 Earlier in the day (while the kids are still at school), put the meatballs into a crockpot and cover them with marinara sauce. Cook on low until you are ready to make your sandwiches, about 2-3 hours. Cut hoagie rolls in half. 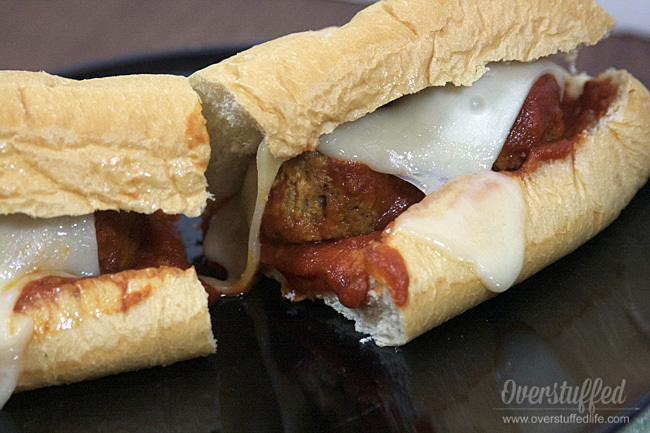 Spoon 4-5 meatballs with plenty of sauce onto 8-inch rolls, or 2-3 meatballs onto 4-inch rolls. Cover the meatballs with Swiss cheese and let it melt for a minute or two. 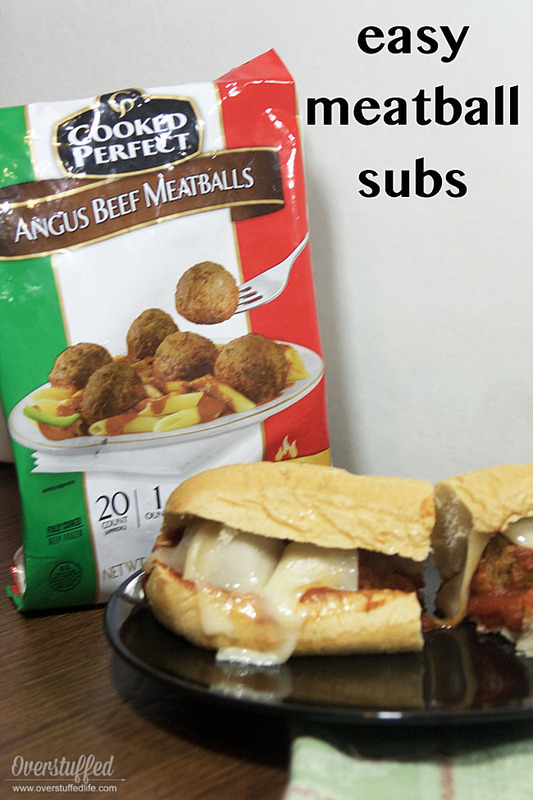 One bag of Cooked Perfect® Meatballs will make approximately 5 8-inch sandwiches or 10 4-inch sandwiches. One 4-inch sandwich was plenty for my girls!